Chikwe Ihekweazu is one of the organisers of TEDxEuston, a not-for profit basis platform connecting the Africa diaspora comuntiy in the UK to the continent by telling success stories of Africans at home and abroad. In our conversation, he tells me why African must get better at telling their own stories. Belinda: TED is designed to give communities regardless of geographical location an opportunity to stimulate dialogue. Hence, what kind of dialogue aboutAfricaand the African Diaspora community do you want TEDxEuston to stimulate? Chikwe Ihekweazu: The concept of TEDxEuston started from the TEDGlobal conference that took place in Arusha,Tanzaniain 2007. People like Ngozi Okonjo-Iweala (Minister of Finance in Nigeria), Patrick Awuah (Founder of Ashesi University in Accra), and Ory Okollo (Founder of Mzalendo, Ushaidi) gave the world a view of Africa so rarely seen in today’s media landscape. Their talks have remained some of the most popular on TED.com. The purpose of the TED conference is beautiful in its simplicity. To spread ideas that can change people’s perspective, ideas that can trigger the subconscious, ideas that lead to innovation, ideas that could affect every person in a different but significant way. It all sounds somewhat abstract, but that’s the beauty of TED…its only abstract until you have felt it, listened, watched and immersed yourself in it. After the failed leadership of the past 50 years, there is no continent more in need of new ideas thanAfrica. Belinda: The programme says, “Our Destiny Is In Our Hands: How New Ideas are shaping interaction inAfrica.” Would you agree/say, we as Africans finally waking up and taking our destiny into our own hands or are we still at the junction where we wait o handouts? Chikwe Ihekweazu: Based on what the various speakers at TEDxEuston 2010, said, it is clear there are several Africans, who are taking their destinies in their own hands and have done so very successfully. But how often do we hear their stories in the Western press, or indeed in our reportage on the continent? We have not been very good in telling our stories. This has a huge effect on our societies as we do not see the role models in our dialogue to inspire us to greater heights. TEDxEuston seeks to tell some of our stories to our friends in the West, but to ourselves as well! The world is changing in different amazing ways and Africans are shaping that change in many sectors. We have to deploy the massive power of ideas that we all have to the continent we are so affectionate about. Belinda: The its aim to reflect ideas and inspired thinking of a new generation of African leaders, by presenting it to an audience of mainly Africans committed to engaging and re-engaging in an active and meaningful manner with the continent. What was the need and gap that you recognised in terms of engaging and interacting with Africans in the motherland and in the Diaspora that you wanted to bridge? Chikwe Ihekweazu: Many of our young people read about the successes of entrepreneurs such as Richard Bransen, Mark Zuckerberg and spend hours arguing about the elections in theUS. We were so emotionally engrossed in the election of Barack Obama. But somehow we have not been engaging with our own countries in the same way. But like Ory Okolloh said so eloquently in her TED talk – our leaders are not going to become accountable out of the goodness of their hearts. For real change to happen on the continent, we have to engage in the different spheres of endeavour. Imagine that before the emergence of the new generation of Nigerian authors such as Chimamanda Adichie and Chika Unigwe, many people thought that there was no reading culture inNigeria. It took the courage of these authors and their publishers (Muhtar Bakare of Kachifo Publishers spoke at TEDxEuston 2010) to challenge conventional wisdom and see where we are now. We need more Africans to grow up believing that they can change their world! Belinda: And of course, it is fair to ask, why did you and your team feel the African community inLondonor should that be theUKneeds its own TED event? Chikwe Ihekweazu: Our event focuses on our community but the ideas are universal. There are other TEDx events around theUK. Belinda: TED is a theme centred event, from technology to entertainment to politics, development and the arts. Do you set out each year’s agenda and what speakers can talk about or does the theme and subject matter determine that? Chikwe Ihekweazu: It is a mixture of both. The first challenge is to select the right speakers. The TEDxEuston team have extensive debates about potential speakers, seeking people who have really affected people’s lives in a positive way. We then discuss the theme for the day with them and ask them to focus on one aspect of their work that they are most proud of in the context of the event’s theme. Once this is agreed, we let the speakers develop their talk on their own, but insist that they deliver this within the 18 minute time frame. Belinda: Last year’s event had three different focused themes, ‘Discovery and Re-discovery,’ ‘Breaking Fresh Ground,’ and ‘A Continent Coming of Age.’ Why did you and your team come up with these different areas and what was the discussion that you and your team wanted to evoke and to achieve with each specific theme? Chikwe Ihekweazu: The three sub-themes were are all inter-related and emphasised the “unseen” and the “unspoken”; ideas and people that are shaping our world in ways that might not be immediately obvious. This camee through all the speakers; from Kemi Adegoke, who has made a remarkable impact on British politics to Father Matthew Kukah who insists that we have to learn not just to live with each other but to celebrate the unity in our diversity. Our themes might appear different, but they are really all similar, bringing out the best in us. Belinda: Where Africa is concerned, what are the other issues that we as Africans need to be talking about right now, politically, creatively, socially, culturally and in other spheres of affairs where the continent is concerned? Chikwe Ihekweazu: We need to be talking about all these sectors but more importantly we need to be thinking! We need to think hard about the way we do things on our continent and imagine better and more efficient ways of doing them. We need to innovate aggressively and create opportunity for growth and development on our continent. Belinda: In addition TED promotes the ideas worth sharing mandate and vision. Last year, Remi Okunola and Paul Onwuanibe brought their business a game to the table. 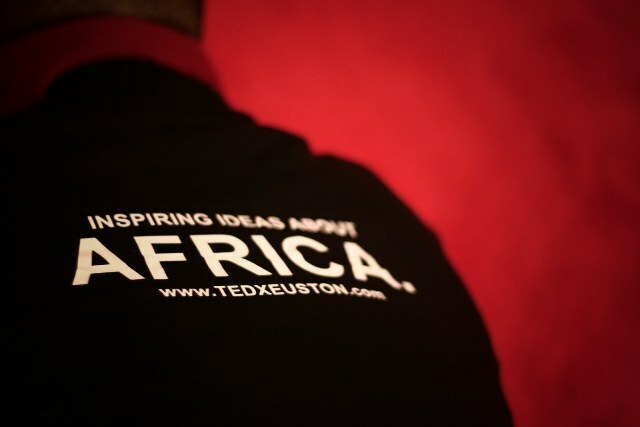 What other new ideas and innovations would you and your team like TEDxEuston to promote and bring to the forefront? Chikwe Ihekweazu: There are hundreds of entrepreneurs like Remi Okunola and Paul Onwuanibe on the continent with vision, passion and expertise. TEDxEuston will seek them out every year and give them a platform to inspire the rest of us. Belinda: You had interesting speakers this year, from the business world to the creative world, what do you take into account when bringing people together for the programme/event? Chikwe Ihekweazu: We look for people that have achieved something significant and has made a real impact on the live of Africans, whose integrity is not in doubt as much as we can see and who are able to speak passionately about their ideas. We do not look for people who have made a career in speaking, and do not consider people who suggest themselves as speakers. Belinda: Last year, a delegate made mention of the fact that issues to do with African women was not on the agenda. Does TedxEuston have plans to bridge that gap with its future events? 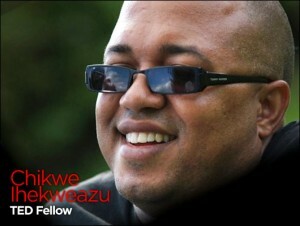 Chikwe Ihekweazu: We are very keen to give the stage to ideas that are shaping our world. The positively evolving status of the African woman is an exciting development and will make for a good TEDxTalk if we identify an appropriate speaker. Belinda: What do you think you and your team achieved with 2010’s event? Chikwe Ihekweazu: We think we achieved an amazing emotional connection with the audience that we hope will drive action. The speakers made the audience laugh, and occasionally cry, made us think and understand, thrilled us, and kept us enthralled But more than that, they inspired us with their deeply personal narratives that spoke to a continent longing to know and understand itself more. We could not have expected any more. Belinda: What’s the vision for future TEDxEuston events? Chikwe Ihekweazu: We hope to continue bringing together amazing people from the continent to deliver talks to an enlightened audience and stimulate a positive discourse on issues that matter toAfricaand Africans and inspire action. TEDXEuston Takes place on 26 November. This entry was posted on Thursday, November 24th, 2011 at 11:52 pm	and is filed under Africa, African Diaspora, Black Britain, Interviews, Journalism, Nigeria. You can follow any responses to this entry through the RSS 2.0 feed. You can leave a response, or trackback from your own site. I love TED.. Ideas here are always brilliant.. I’m reminded (I would hardly forget) of Chimamanda Adichie’s 2009 ted talk “danger of a single story”. I was overwhelmed and inspired by her story. Yes, I agree that Africans should tell better stories for ‘our’ sake and growth. Africa is growing, tremendously at that. Better stories would better define and constructively mould an optimistic future for Africa. I’m sure TEDx Euston would be amazing! Wish you guys a great event!